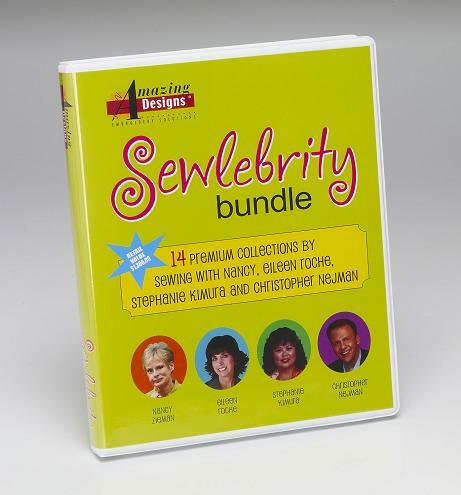 Sew with the stars with this three-CD set from Amazing Designs. Now you can collect all of the exclusive embroidery design collections from your favorite embroidery experts, at an amazing price! *Sewing With Nancy and Eileen Roche designs may be sewn and sold, no limits. Up to 50 stitched units of other premium designs may be sewn and sold.